The overall economic outlook is improving, and everyone's started talking about the behavior of the real estate market. 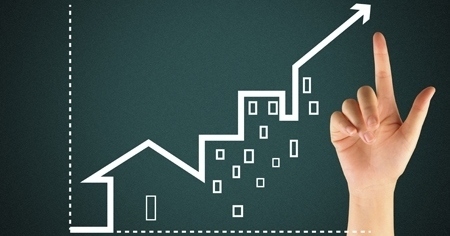 Read to find out about 5 reasons why real estate is likely to soar within the next years. As the United States eases out of recession times, people start paying more attention to the home-buying/selling process. Now is the perfect time to buy or to mortgage a house, or to move into a more upscale home and sell the old one. Why? Because in a year’s time, you would have to pay more for the exact same house, and who knows how much more! Real estate prices are going straight up, and for now it’s more beneficial to buy/mortgage a house than to rent it – proves so much cheaper long-term. High demand takes its toll, and in a couple of years, the situation might appear opposite. That’s a rear opportunity to purchase a house you’ve long deserved and make a very profitable investment. People understand that, they actively participate in the real estate market hence driving up prices and the volume of construction of new houses – another reason why this industry is likely to develop. The NAR recently conducted a Real Estate Market Survey that demonstrates the rise in the commercial real estate within the last year. Source familiar with this study is saying that prices are fearlessly crawling up: More than 7 increase from the last year and the growth in 2018 is expected to be even higher. This is a steady rise from the last year’s results, and we can only conclude that the trend will remain relevant for the foreseeable future. A solid upward move of the whole economy certainly involves the advancement of the real estate sector to more or less the same extent. Substantial growth is imminent. 3. Support of credible sources. In CBRE’s 2017 Global Real Estate Market Outlook, five key research themes have been given the most attention: capital markets, office, retail, industrial, and hotel. These were highlighted in the recent years as well, and CBRE claims that now is “the most exciting and interesting time to be involved in commercial real estate”. Given the trustworthiness and credibility of CBRE as a huge company involved in the real estate services and investment, we should consider this fact as one of the signs of a highly likely future growth. Many real estate firms, both local and national, are making strides in the tech side of real estate. More and more companies are offering their software that attracts and manages leads, improves the quality of customer service, enlarges lead volume, etc. Agencies are fighting tooth and nail to keep their share of the market and expand it earlier than competitors can. They have introduced electronic signatures, FaceTime open houses accessible remotely, convenient websites to post listings and many more shrewd solutions. Competition breeds innovation, and innovation leads to rapid growth. 5. Rise in multigenerational homes. The rising popularity of multigenerational homes has caused the demand for more spacious houses capable of accommodating more people go sky-high. It keeps the pot boiling, while agents cater to this new segment of customers and construction companies erect new houses that fit this trend. This is not the reason for the market expansion per se, but it is a good indication of the lack of stagnation. 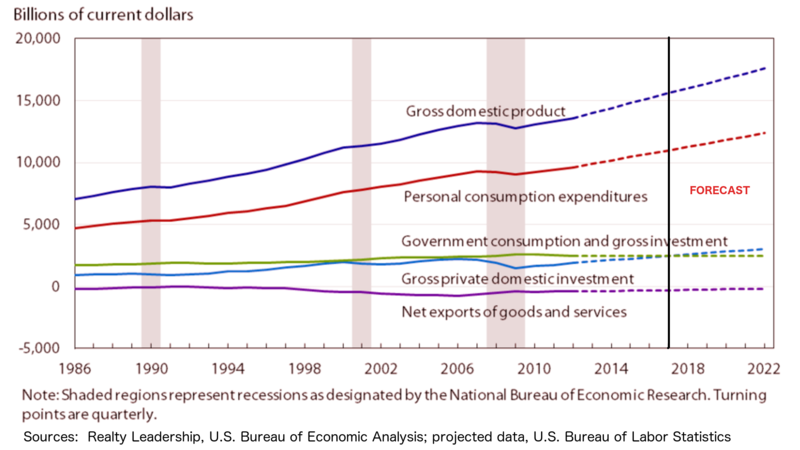 People keep being interested and involved, their average income rises, the US population swells, and all of it amounts to very good chances of the NAR forecasts being correct.